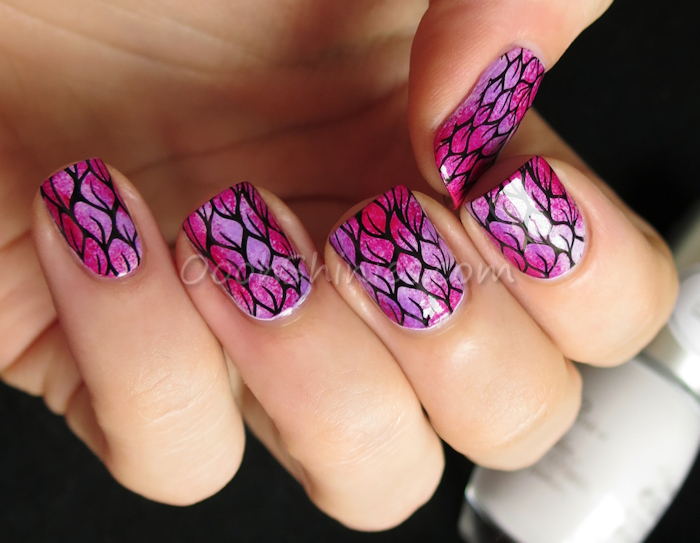 Sheer polishes and a stamping plate, easy and effective! Smudged, smeared and stamped! 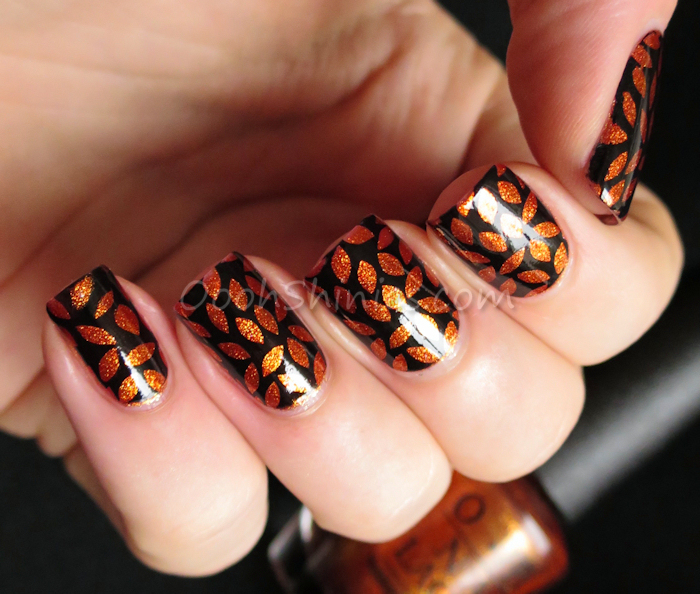 The Uber Mat made creating stamping decals so much easier, for these decals I used black stamping and lots of holo polishes, and a little patience to fill in all the spots ;) UberChic Beauty Collection 4. Various green acrylic paints with black stamping and some matte top coat gave this result. There was another mani in the running for a spot in this list (or well, a whole bunch, heh), that one felt more like a typical Oooh, Shinies! mani yes, I'm sneaking it in here anyway!, but eventually I decided on this one because it's a bit more unusual :) UberChic Beauty plate collection 3! The Bundle Monster Shangri-La plateset brought us plenty lovely images, and here's one of those images colored with the help of the Uber Mat! Reversed stamping with lots of colors! Dance Legend Sub-Zero almost made it to my top 10 polishes list, but because I wasn't loving the thermal effect as much (it turns blue), it didn't. 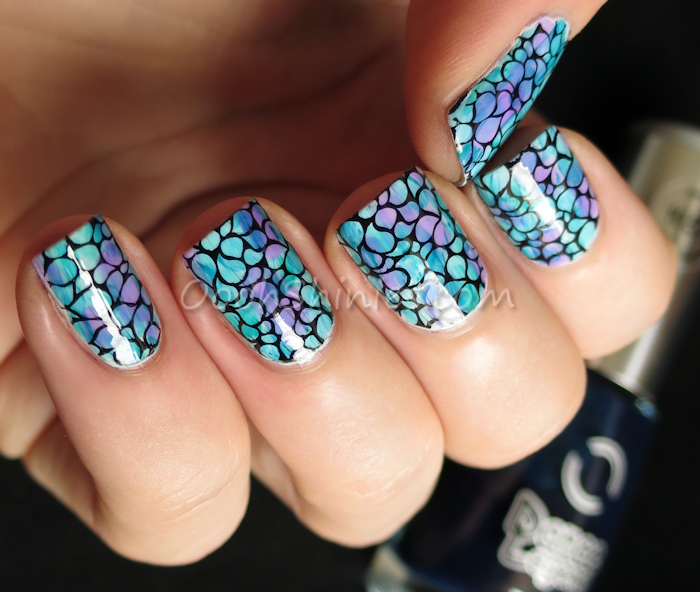 I think this mani didn't look as nice with the basecolor going blue, but I sure do love it like this! Sub-Zero stamped. 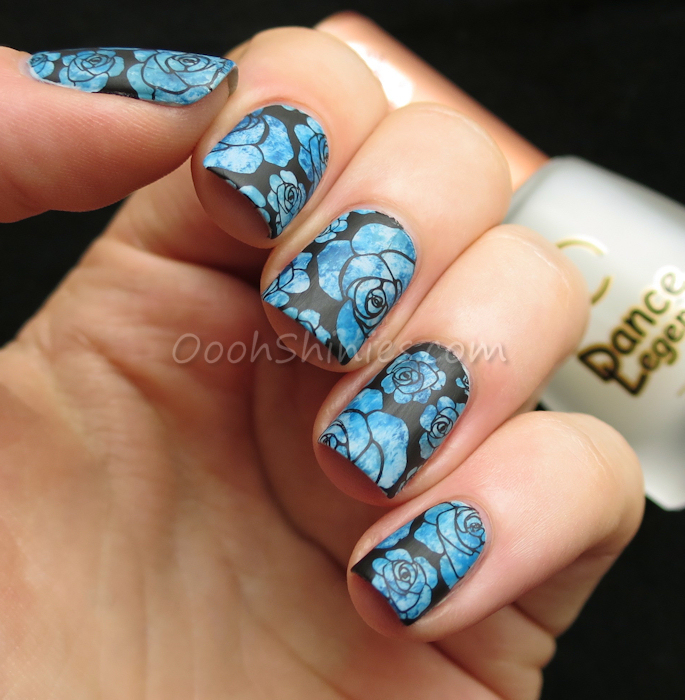 This mani didn't turn out as I originally intended, but well, it's in this list now anyway - I guess that says enough :) Blue roses with Dance Legend Go Fast and Top Satin. Randomly sponged colors with black stamping stays nice! UberChic Beauty Out Of Africa. Of course I had to add a mani in the style that I never get tired of; floral or swirly print, tone-on-tone, matte top coat = love! Matte flowers. 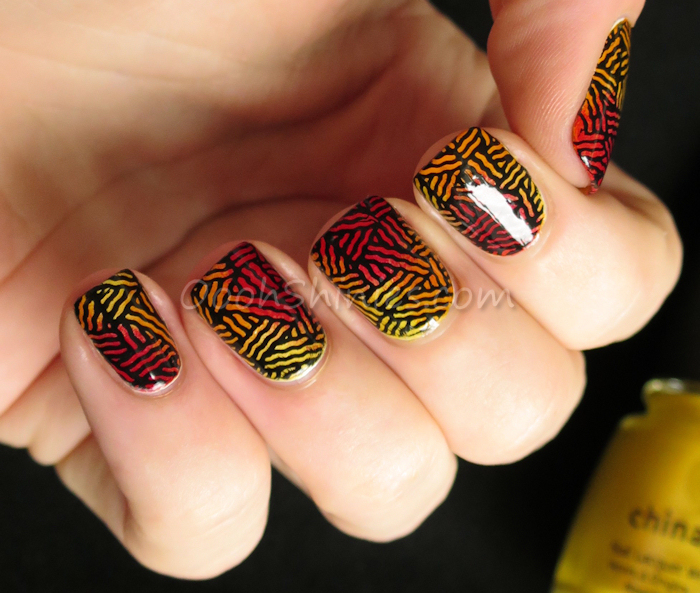 I said it above already, randomly sponged colors with black stamping, and this result was an easy choice for this list :) Dance Legend Pure Manicure (liquid skin protector). Yep, same image as the green mani further up, but it's a great image and it combined so well with this basecolor! Burnt orange meets black.